Abina village is located to the North West of Mangochi under Group Village Head (GVH), Abina, in TA Chilipa about 56km from Mangochi District. With a total of about 156 participating households, they form part of the overall community efforts to protect Muthe Village Forest Area. The golden moment for the Abina village residents started when the Energy Forest for Malawi, a project implemented by Kusamala Institute of Agriculture and Ecology in partnership with Welthungerhilfe and Zankhalango Association with funding from The Federal Ministry for Economic Development Cooperation (BMZ), started working with them in April 2018. Utilizing the knowledge gained through trainings by Kusamala and inputs given to them like watering canes, tree seeds and polythene tubes, the participating households embarked on establishing a tree nursery. The project is being implemented by 16 villages in T.A Chilipa. These communities showed interest to sustainably manage their Village Forest Areas. They have established a village forest nursery in an effort to create a source of fuel wood in the near future and in the process lessen pressure on their forest and its biodiversity. Abina will be managing the whole 75ha of Muthe Forest which provides habitat for many tree species, small animals and wild birds. 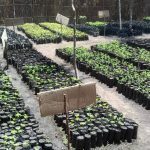 By 30 October,2018, Abina Village had already established a nursery with about 9,000 tree seedlings of the following species; Senna Siamea, Senna Spectabilis, Leucaena leucocephala Moringa Oleifera and Albizia Lebbeck. 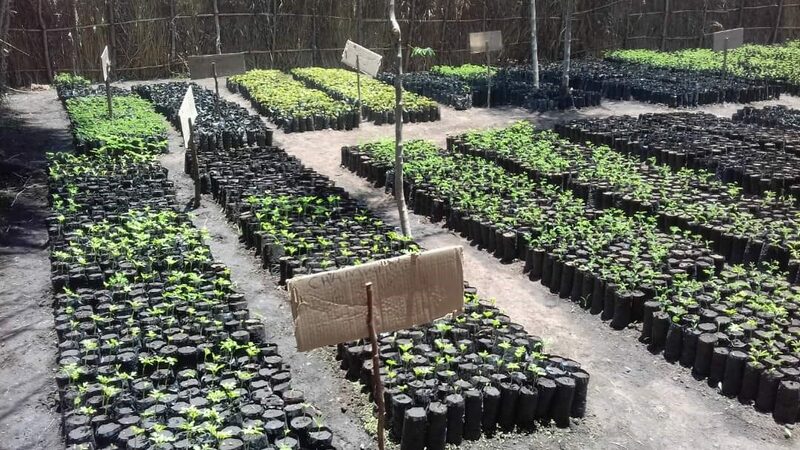 According to the community, their choice of the seedlings was based on the fact that they are fast growing and would reduce the pressure of cutting down trees from the Village Forest Area (VFA) and also for increasing soil fertility. Out of 12,000 tree seedlings sawn, we are expecting about11,800 trees to be planted during the coming tree planting season for two GVHs (Abina and Nsonthe) T.A Chilipa. There is potential for timber and non-timber products which can be realized after implementation of developed Participatory Forest Management Plans. Establishment of Communal Village Forest Areas will reduce pressure on the natural forests. Development of Participatory Forest Management Plans will ensure sustainability in the management of VFA because communities involved are the custodians of the area and have direct impact to the area being managed. Yes! we are working towards that.